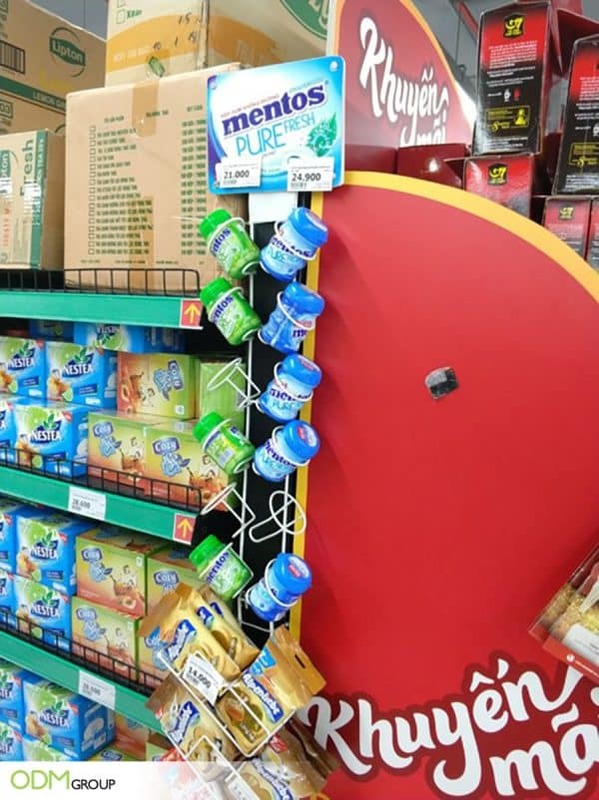 Mentos has recently inspired us with their mounted display stand in Ho Chi Minh, Vietnam. This is a great way to not only market your products but also a very convenient and easy way for customers to select your product. A custom display rack is often used by brands to attract costumers – however, for smaller products, a mounted display stand will be both effective but less costly. Products can be seen much easier here than on a shop shelf, and it is additionally much easier to select this product. If the customer is in a rush convenience is their main priority. Likewise, if a customer is waiting at the checkout area, they are more likely to see something on a stand and, as a result, select it. Unlike a custom in-store display, mounted display stands actually have the products on them rather than just the advertisement. A Mounted Display Stand becomes even more effective when used as POS display units. As we have already mentioned, they make a very convenient way of grabbing something on the go whilst heading to the checkout. In the confectionery market this is all the more important, as a busy shopper will be craving sugary goods to increase their energy or wanting mints to freshen their breath. 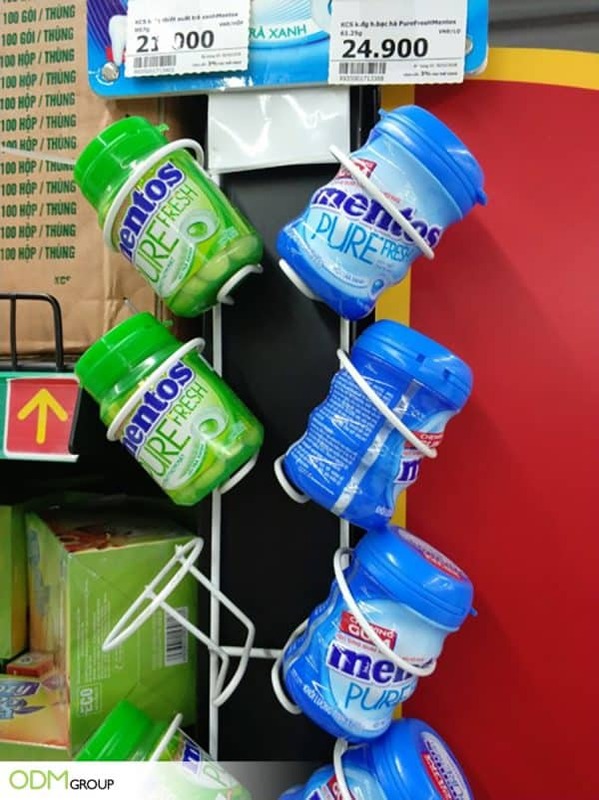 This product placement on a mounted display unit is therefore a good strategy by Mentos. Gives customers easy access to the products. It also allows them to locate the brand along busy aisles of department stores without hassle. Could your company benefit from the use of a mounted display stand? Would this be effective in marketing your item and convenient for your customer? Is so, we’d love to hear from you – get in touch with the ODM group today. We also design promotional product packaging, and manufacture custom promotional merchandise.